Limit of 12 entries max per person. 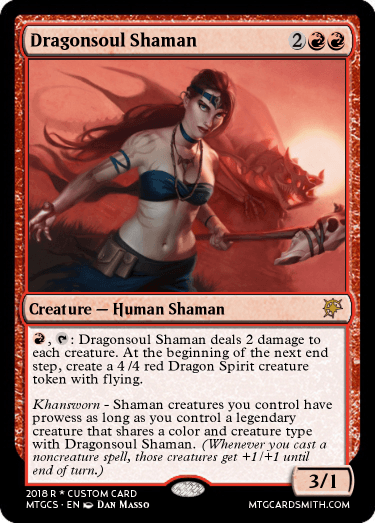 Khansworn - (effect) as long as you control a legendary creature that shares a color and creature type with this permanent. 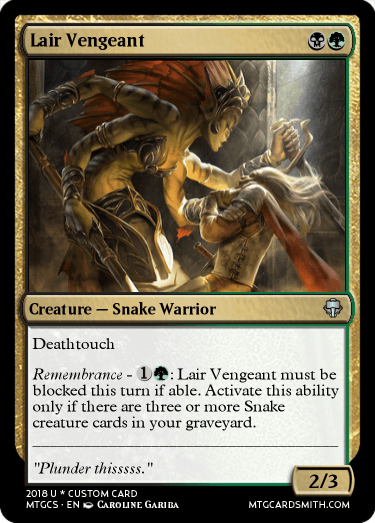 Khansworn - [Cost]: (effect.) 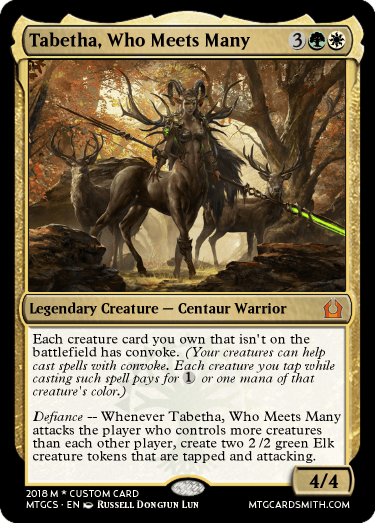 Activate this ability only if you control a legendary creature that shares a color and creature type with this permanent. 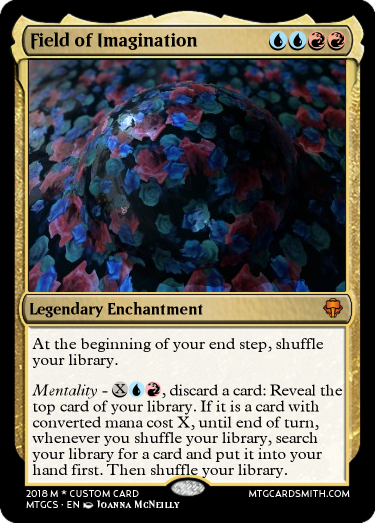 Mentality - [Cost]: Reveal the top card of your library. If (insert condition here), (effect). Then shuffle your library. 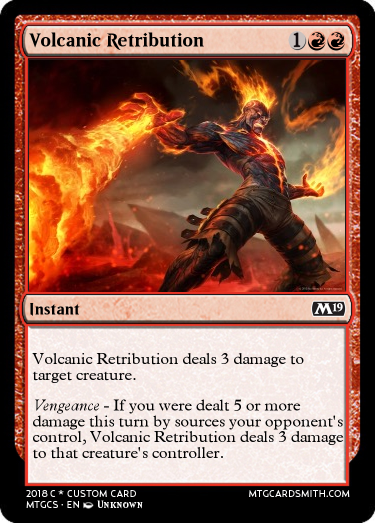 Vengeance - [Cost]: (effect...) Activate this ability only if you were dealt 5 or more damage this turn by sources your opponents control. Secretive - _____ exile _____ face down. 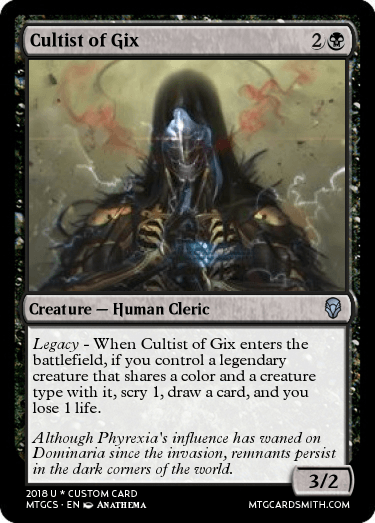 AUTHOR'S NOTE: Imprint, but the exiled card is face down. 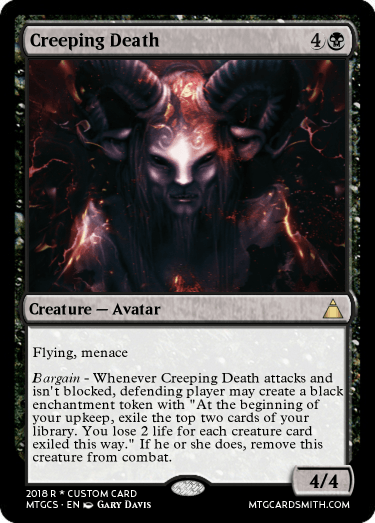 Bargain - Whenever this creature attacks and isn't blocked, defending player may (insert condition). 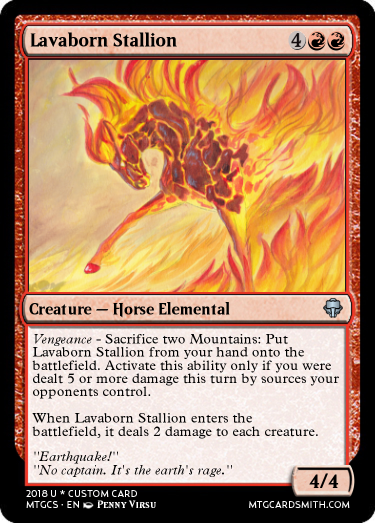 If they do, remove this creature from combat. 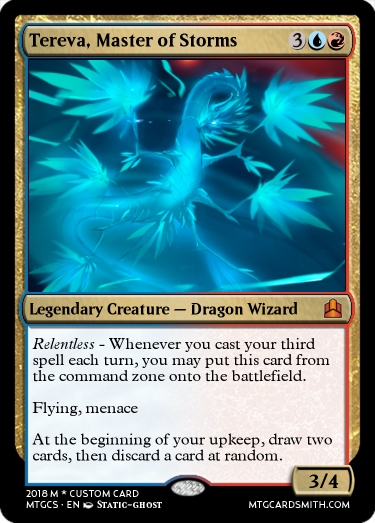 Relentless - When/Whenever/At ______________, you may put this card from the command zone onto the battlefield. 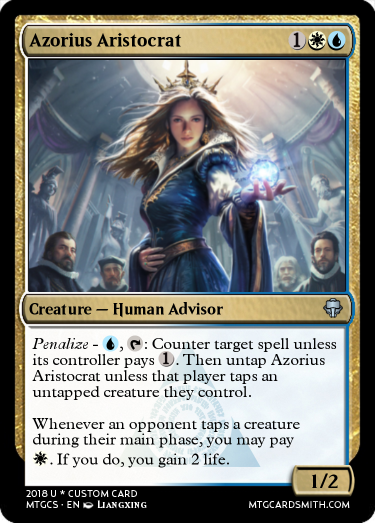 Penalize - (Bonus Effect) unless an/target/that opponent/player taps an untapped creature they control. 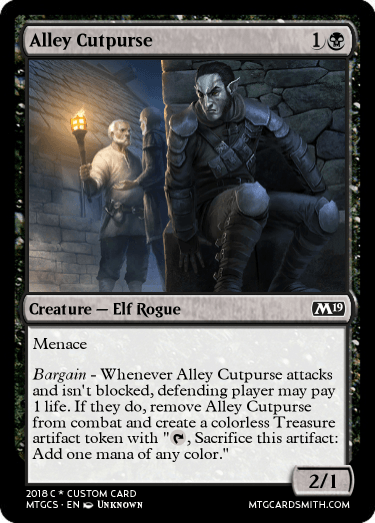 TOMIGON'S THOUGHT: This mechanic looks like it encourages fierce combat, but I feel like it will be used with discarding, sacrificing or self-milling. 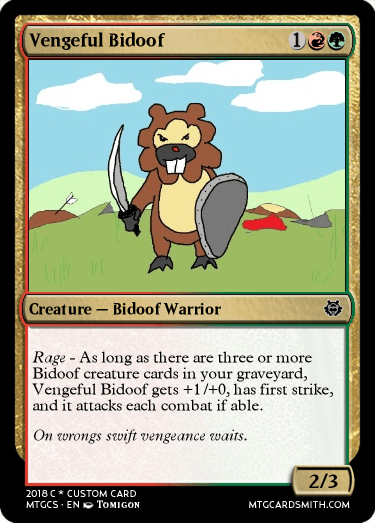 I think the name should be changed to more BG or UB-ish one. If anyone has any idea, I'd like to know! 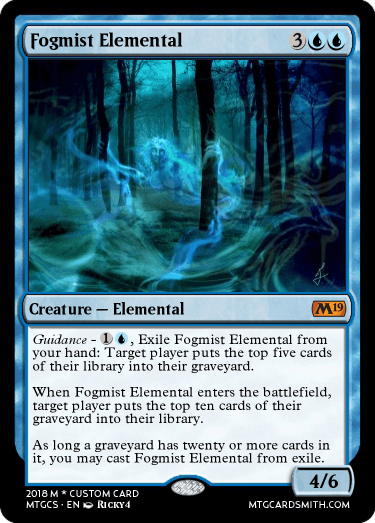 TOMIGON'S NOTE: ArienStorm's original idea doesn't have underlined part. I thought it's just a narrow landfall, so I added that part, but you can choose to remove/change it in this challenge. If 7 is too big, you can change it. 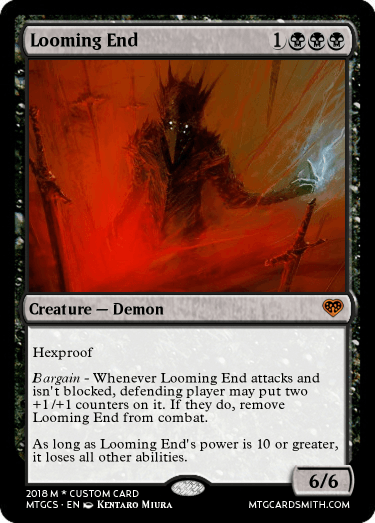 (Damage causes loss of life.) isn't necessary. Q) Can we change the name of a mechanic? Q) Can we make minor changes to the mechanics? 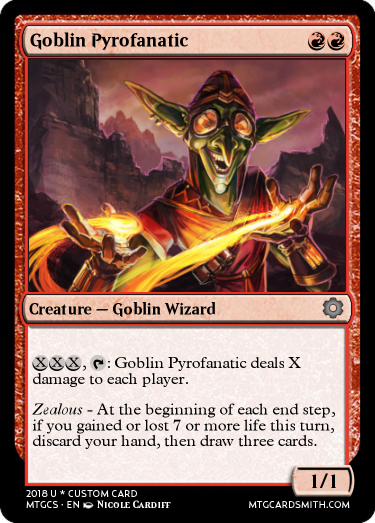 Q) Can we use the mechanic on a card but not name it? 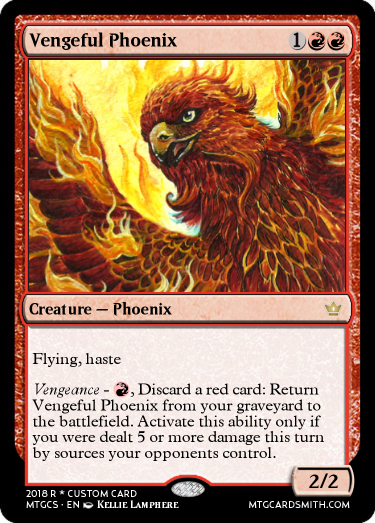 Q) How to post the image of the card? That was... fast? Another mechanics challenge so soon? Cool. I want to use your mechanics too! But there are so many mechanics in Encyclopedia that are waiting to be used. Thanks for giving a shot at that mechanic! I think it's the most tricky one. 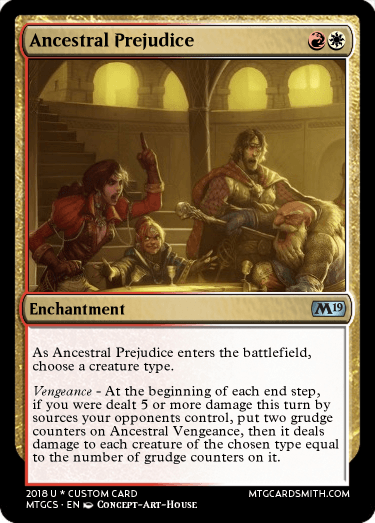 This is not a big deal, but "name a card" is old wording. 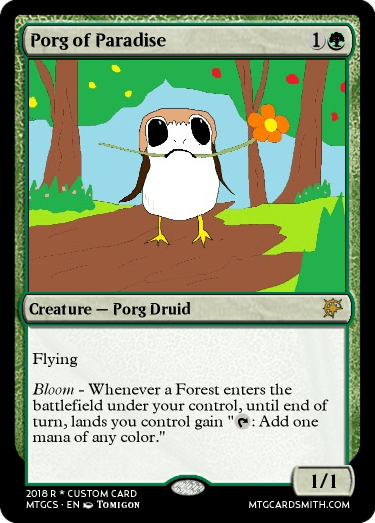 The current oracle of Pithing Needle says "choose a card name". Just an info for your future creations! I decided to add a few more mechanics to this challenge. Check out the list, and example cards with my amazing artworks! @TenebrisNemo @sorinjace Thanks for your entries! 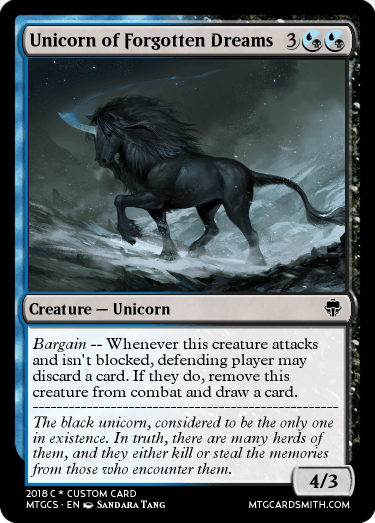 I think it can say "Creature spells you cast have convoke." 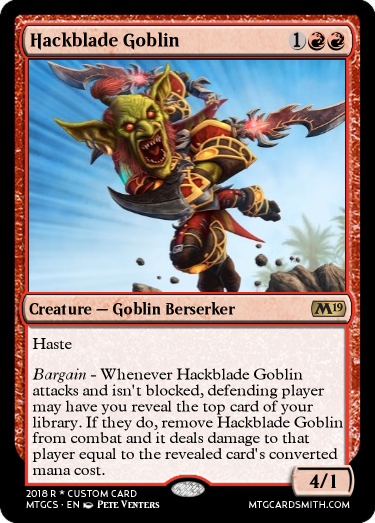 Also you made Defiance part say "attacks the player who controls ..." but @DeepSky's wording is "attacks a player who controls ..." Which one is grammatically correct? I really don't know. 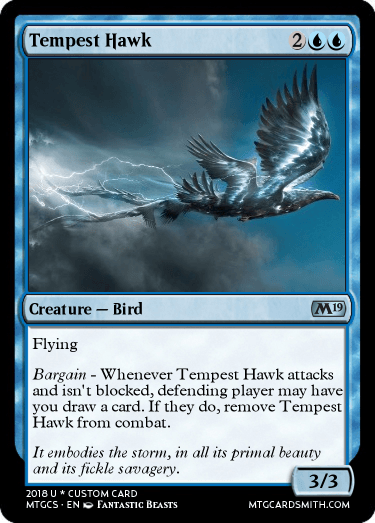 This is not a big deal, but I think the right wording of your Harpy is..
Khansworn - When Praiseworthy Harpy enters the battlefield, if you control a legendary creature that shares a color and creature type with Praiseworthy Harpy, detain target permanent an opponent controls. 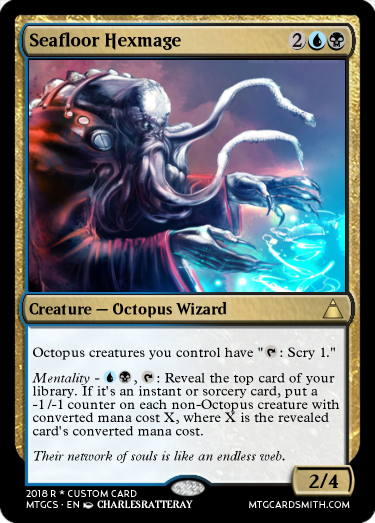 Texts in ability words always change, depending on if the card is permanent or nonpermanent, and/or if the ability is activated, triggered, or static. So it's very confusing. @Tomigon - I see. 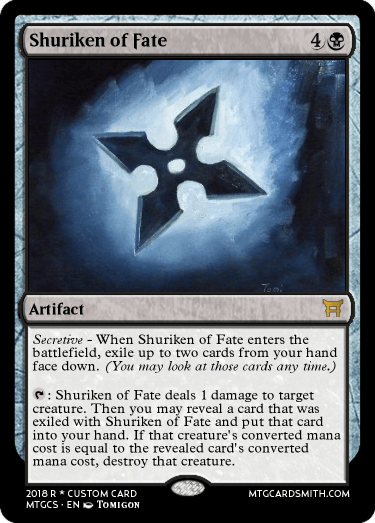 I took example from Falkenrath Gorger when I was making that ability. A little background on Skullbrander. 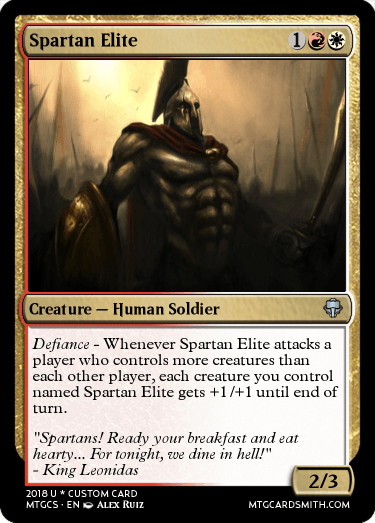 This is my 4th card of Skullbrander, the original was deleted a long time ago when I had originally abandoned the idea of making a full on custom set. Skullbrander is the main villain of the Sagara custom block I started. It has since its original iteration been worked on by @Dechujoh64, @Aryanf, (indirectly due to gifting dechujoh with a set symbol of his choice, I still credit faiths guide for this) @Faiths_Guide, and myself. 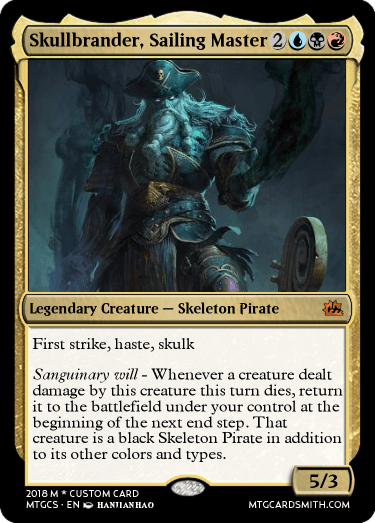 This card shows Skullbrander in his Human Pirate form before his own spark started to transform him into a Skeleton Pirate. 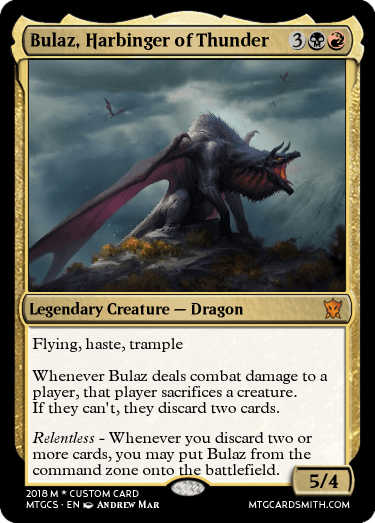 The fight he had with Nicol Bolas wore him so badly that his own arrogance and greed nearly destroyed him. 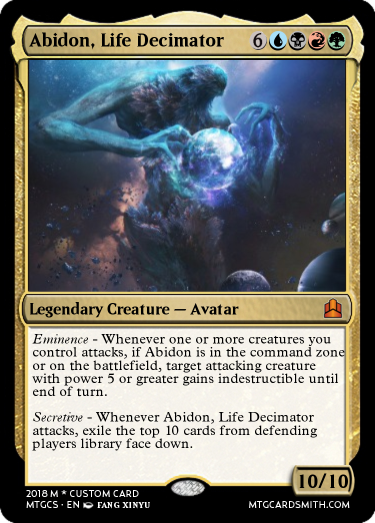 He fled to Sagara in search of resources to rebuild his army and to regain the full power of his planeswalker spark. 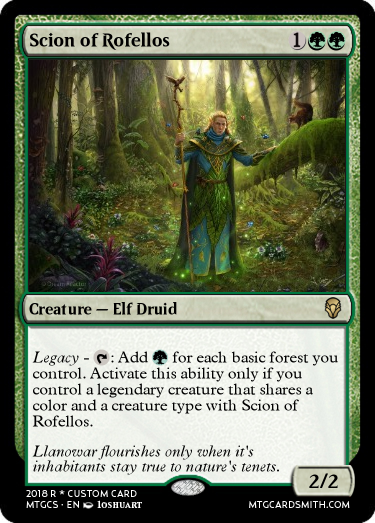 (Nissa and Jace guest appear in the set however.) 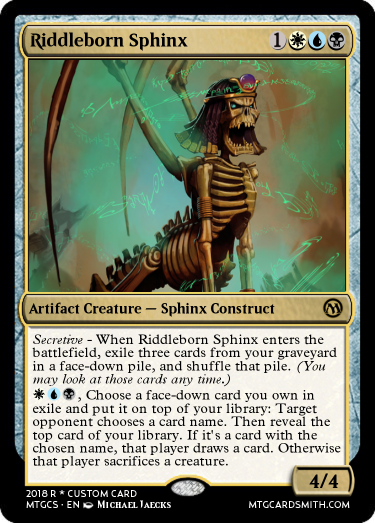 Like really, why does this guy keep going after Nicol Bolas? 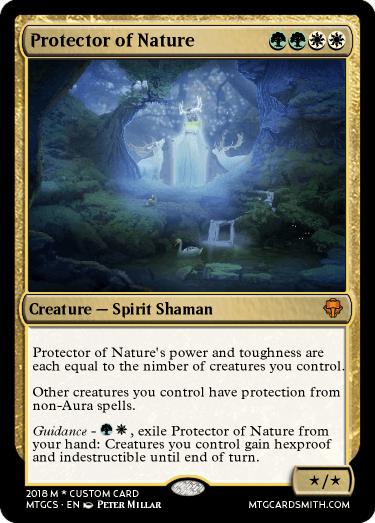 Not that the Gatewatch mind, they only mind if a planes is in danger, and Sagara is a very peaceful tropical like place that when Skullbrander invaded in his escape from Nicol Bolas, it became endangered. 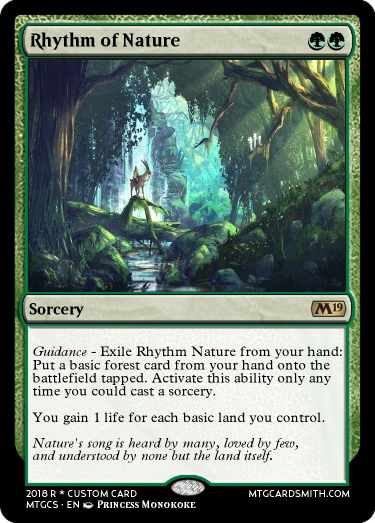 Nissa had abandoned her watch, or so we think, and Jace had followed her to attempt to convince her to stay, in the route to going to Nissa's home planes, she had traveled to Sagara, a place Jace had never heard of before. 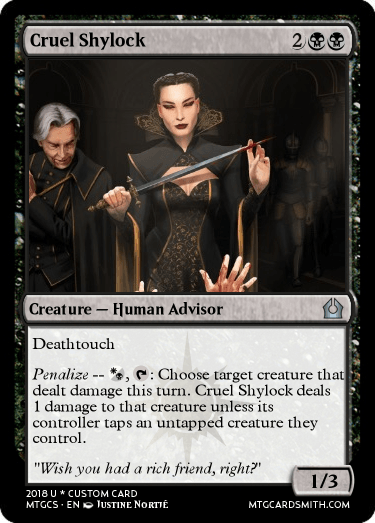 He followed her there in hopes of convincing her to stay with the gatewatch. Sorry so long, but I felt I should give a little lore or background to Skullbrander since it is using the Sagara Unbound set symbol, and this is a major character in the Sagara block. Thank you again to everyone who took interest in the set, I haven't worked much on it, but maybe with a little push and some ideas, I may work on it further. 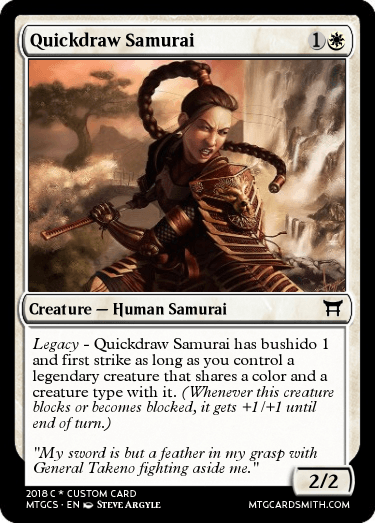 Renamed to "Legacy" for more generic flavor not tied to Tarkir and cleaner connection to legendary creatures. 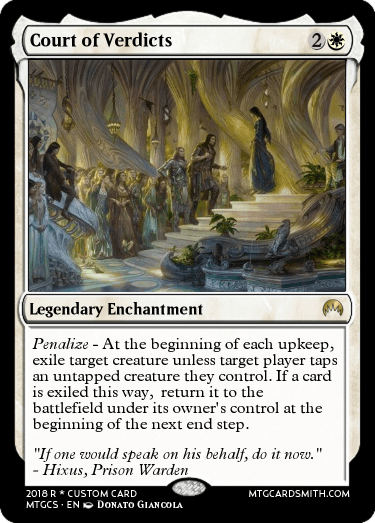 Legacy is reminiscent of something of the past, while Khansworn (I agree the name should be changed) is very specifically about something of the present. Perhaps Assistant or Attendant would be closer to what we need? Other options include Patron, Advocate, and Partisan. 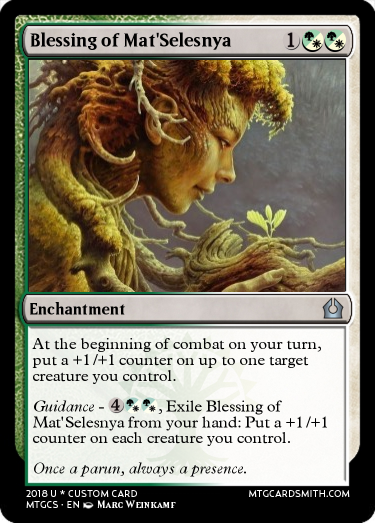 The card also has hidden flavor text.